That picture illustrates how I felt all day today! I got a delightful surprise this morning! 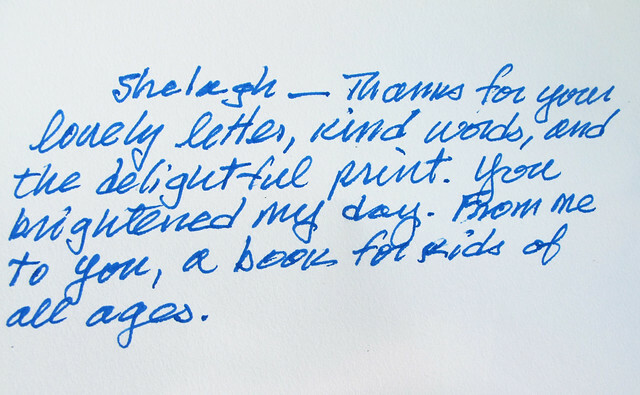 A wee book in the mail and this note! 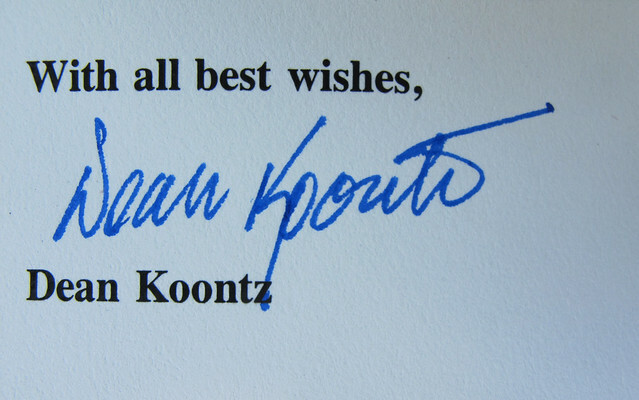 Well………I have been a huge fan of Dean Koontz since reading The Watchers, years ago. Often when reading a book of his I will come across a passage that really speaks to me or an insight of his that resonates and sometimes something that just makes me laugh really hard. I have wanted to contact him for years. In the back of every book of his, there is mailing address. 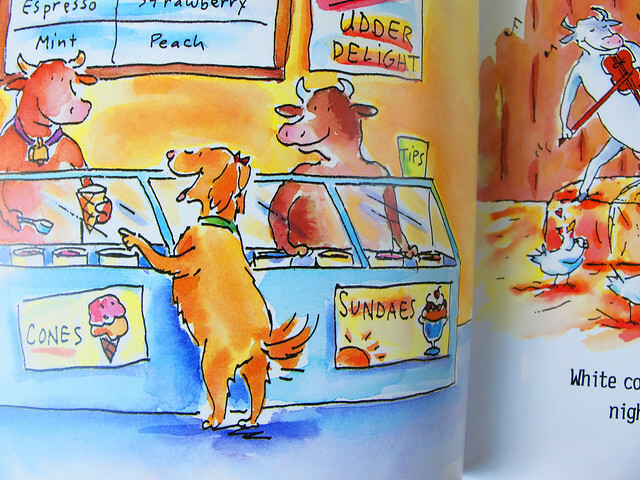 Finally, a month ago, after reading his latest book in which there is a hysterically funny scene with a sweet bun and the consumption of it, I decided to sit down and pen a short letter. I also sent him one of my prints as a thank-you for all the years of reading pleasure he has provided me with. I thought he would enjoy it and that was that. Never in a million years did I expect to hear anything back. This man gets 10,000 letters a year. 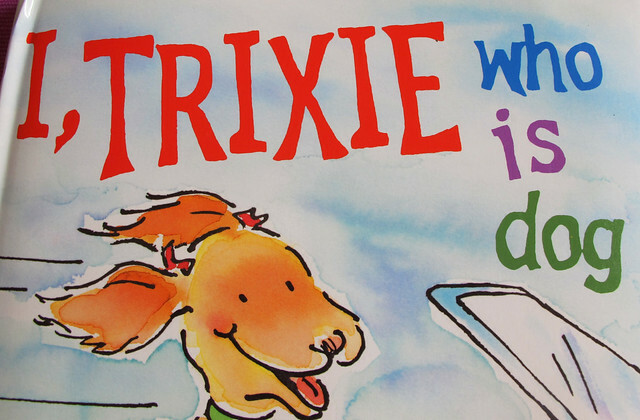 The book he sent is called is called I, Trixie Who is Dog and it is wonderful fun. 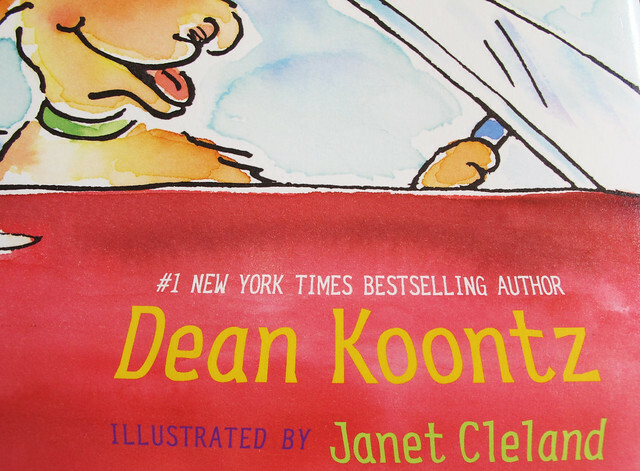 What you might not know about Koontz is that he has an abiding soft spot for dogs. Trixie a beautiful Golden, and a retired companion dog was their loveable family pet. She sadly died at twelve. 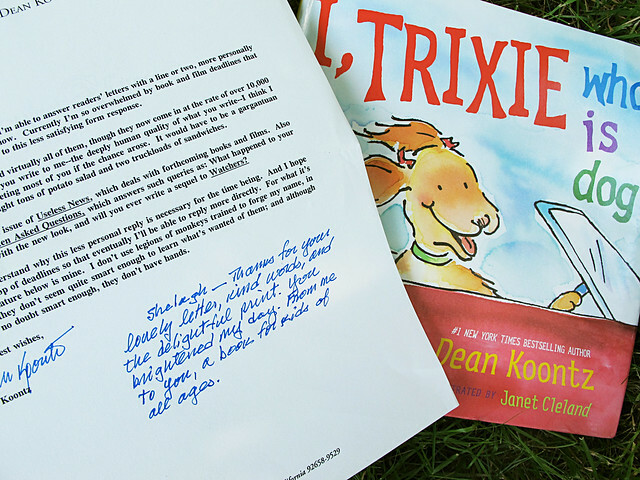 This book, a few others and a new one in October, Trixie and Jinx, are his tribute to her love and faithful companionship. 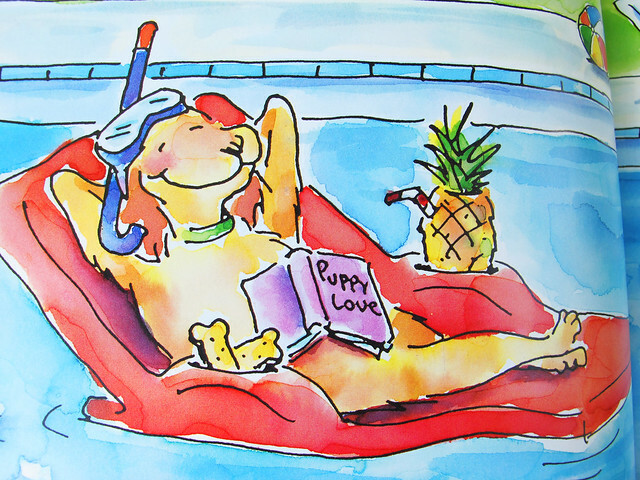 100% of the proceed of these books go to Canine Companions for Independence. 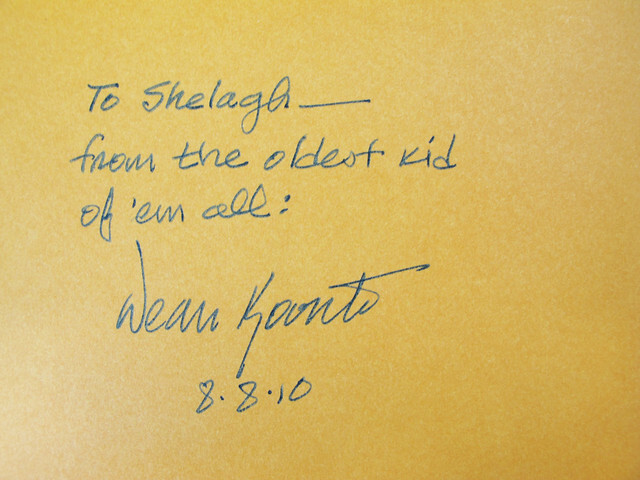 and look….. he personalized it:) I’m thrilled.